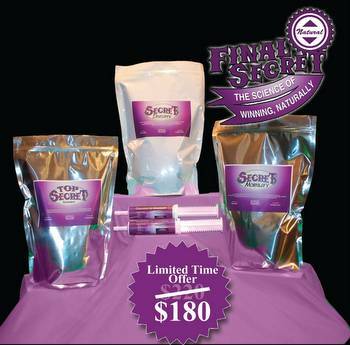 special offers from your trusted source, Final Secret! The Secret to bringing home the banner is having the right set of tools. Our Essentials package helps get the job done, no matter which species you are showing. Top Secret: No better electrolyte for daily use and bringing animals back after hauling to a show. Secret Mobility: The scientific approach to structural soundness! This product is a must for keeping animals sound during rapid growth periods and times of stress. 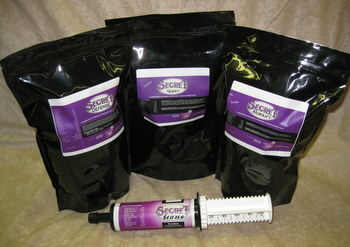 Secret Developer: The best way to enhance muscle growth legally and naturally. Bloom-N-Secret: the #1 show day solution for that added pop and freshness! Products may not be subsituted within the bundle. must be added to shopping cart to receive promo products. Orders must contain $100 of any Feed Additive Products to qualify for promo pack.